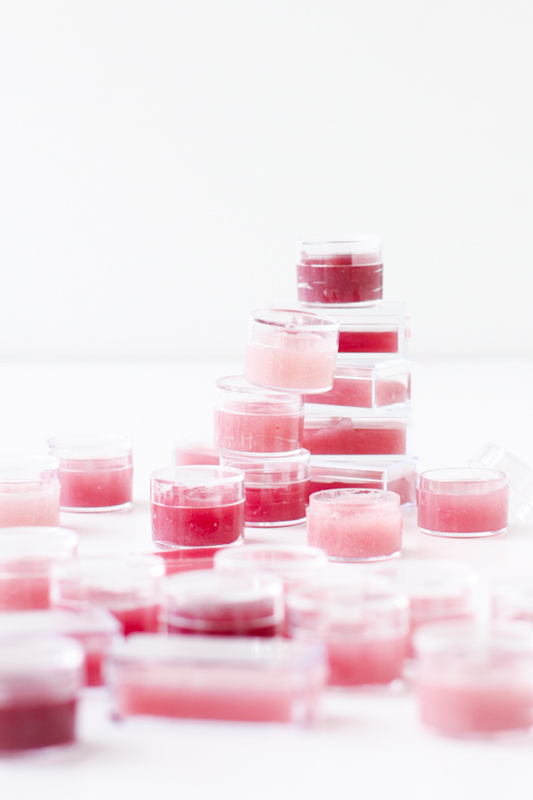 Make your own lip glosses for Mom (and yourself, let’s be real) with this simple tutorial. 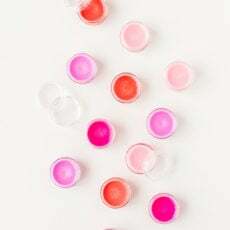 We’ll be using Kool-Aid for the flavoring and color, so you know these glosses are going to taste delicious on your lips. Yum! 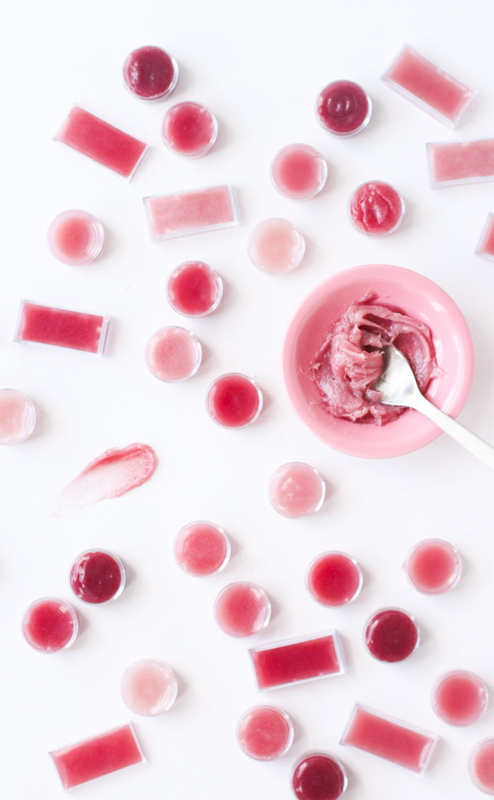 Quick Note: The number of scoops of petroleum jelly and Kool-Aid will depend on how much lip balm you want to make. 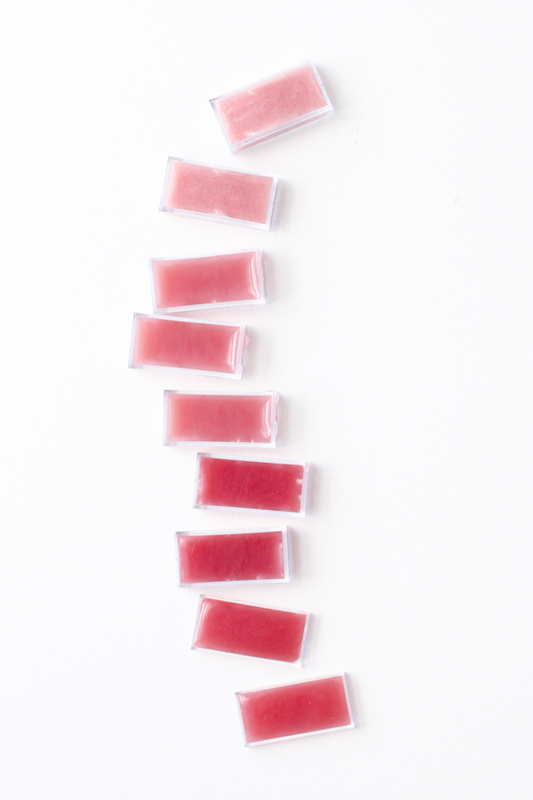 A good rule of thumb would be a 1/2 Kool-Aid packet for every 2 heaping spoonfuls of petroleum jelly. That will make a very good amount of lip balm. I made a double batch, to give you an idea of how many it makes. 1. 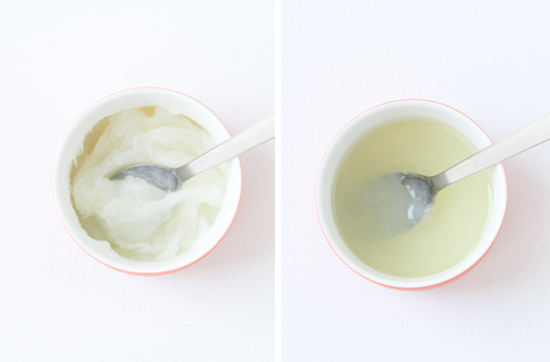 Start by adding petroleum jelly to a small microwave safe bowl. Then microwave on high for 30-45 second intervals until melted, stirring in between. You want it to be clear without any clumps. For me, it took five 45 second intervals to get the clumps out completely and looking like what you see in the photo. 2. 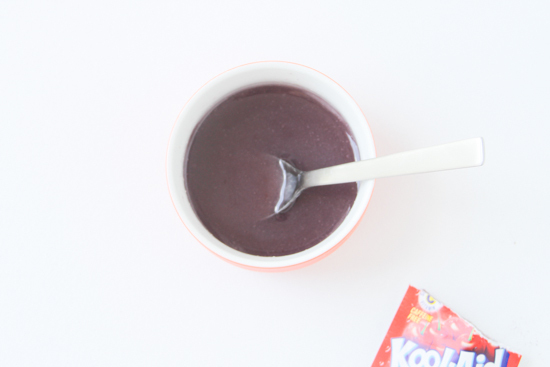 Next, add Kool-Aid powder to the melted jelly slowly while stirring, until you reach the desired color. This will also give the lip balm a tasty flavor. I found that the tropical punch flavor was the closest to a red-pink. Then I added the lemonade flavor to get it lighter for the really soft pink shades you see. The darkest almost purple / mauve color was using cherry and a little bit of tropical punch together. 3. Once the Kool-Aid is completely mixed with the melted jelly, scoop it into screw top pots and let them return to a solid state overnight. It doesn’t actually take that long, that’s just how long I ended up waiting. They should be pretty solid after an hour or two, if you’re in a hurry. 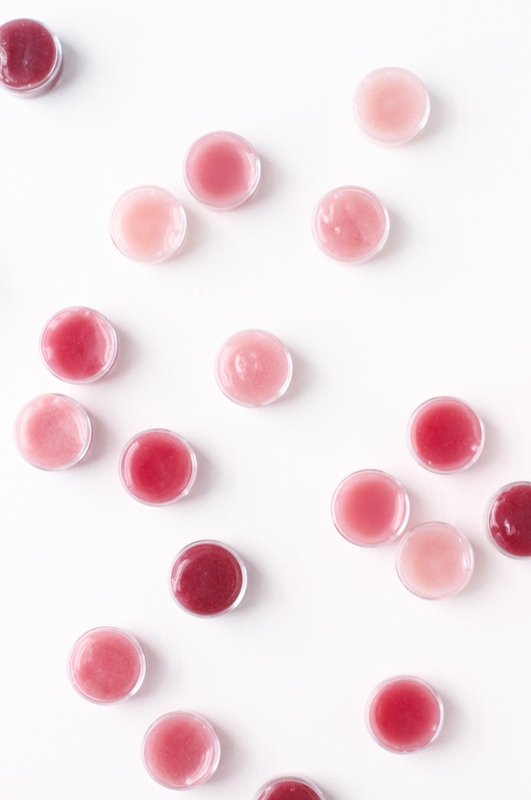 It’s worth mentioning that this lip balm project is not just limited-ingredient, it’s also super budget conscience. Yay! A $5 (13 oz) jar of petroleum jelly and $1 worth of Kool-Aid packets (they’re 5 for $1 at my grocery store) will make about 30 jars of lip balm. So for $6, you can make yourself, your mom, and a few friends a year supply of this stuff. Pretty crazy. For even more DIY gift ideas for Mom, visit this post: 21 Budget-Friendly Mothers Day DIYs to Try Before Sunday. Whoa! I never knew it was that easy! These would be so fun for a little girls birthday party favors too! Crazy, right? So easy! And this would be perfect for a little girls birthday party too. Good thinking. Great tutorial! 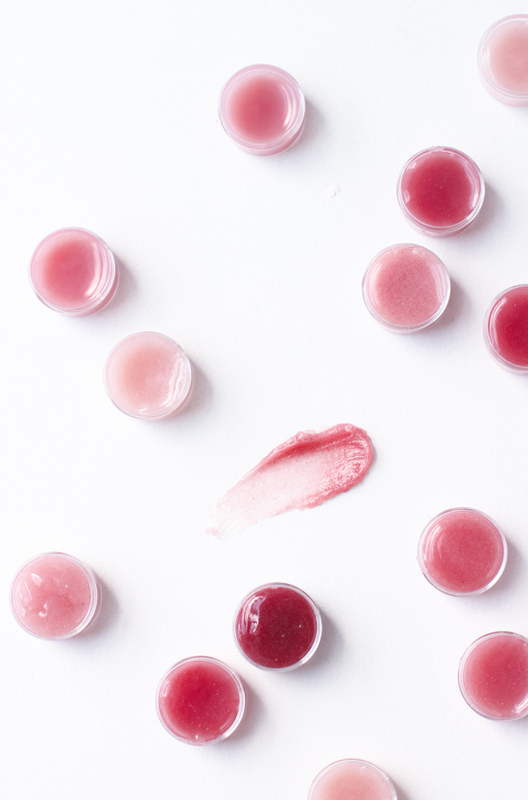 I’ve been wanting to try DIYing lipbalm, and this recipe is simple enough that I think I can do it! Wow I hope no one I know reads this article (no offense) because this is definitely what people will be getting for birthdays and holidays this year!! 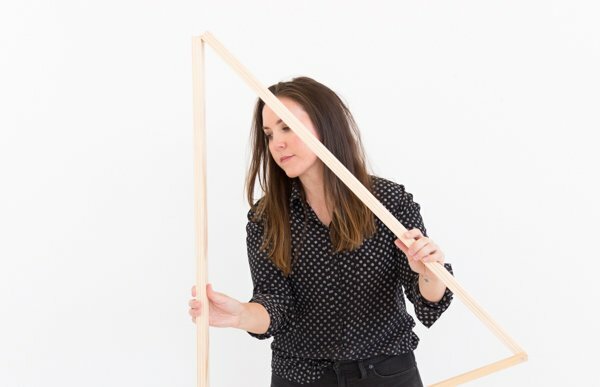 This is so easy even I am not scared off by it, and that is really saying something when I’m in an apartment with three kids, two dogs and two “big kids” (aka my husband and I) and work full time! Thank you for the idea!! maybe its just me- but I cant get the link to the containers you used to work! LOVE this idea- totally doing it! What a cool idea! I love this so much. How cool would it be as a party favor or stocking stuffer in the winter? Or in Easter baskets in spring? This is so fun. These look so easy and simple! I can’t wait to try this. Hi I love this idea. The only problem is that I am in Australia and have no idea what koolaid is. Would you know of the alternative is for over here? this is great, thanks. do you think that waxelene can be used instead? fun! 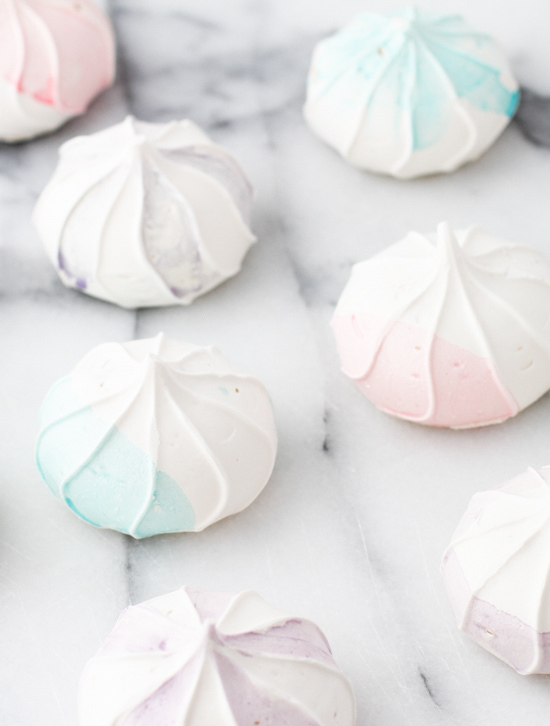 I knew it’s a great idea for Mother’s Day but I think I’ll be doing this craft with my kiddos – I just wonder what flavor they’ll pick haha! I really like the concept, but am thinking of using coconut oil and vitamin e instead of petroleum jelly…thoughts? I am going to try this recipe going to use coconut oil instead. Only problem with using petroleum jelly for me is it is not all natural. Also by adding the coconut oil it is a carrier oil so mixed with lavender it works. Like any product being natural or filled with other stuff there is always a chance you could have a reaction. It may be cheaper but remember you get what u pay. Do you think this will work just as well with coconut oil? Thanks a bunch for this cool recipe. Any idea how well this would work with paw paw cream, as I really dislike petroleum jelly. Another thing, we don’t have kool Aid in Australia, would you know of an alternative? Hi Dianne. 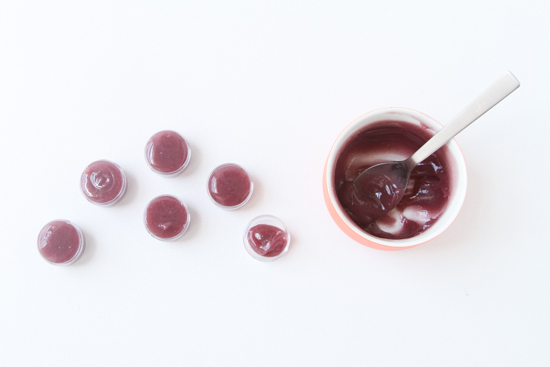 I have another lip balm DIY as well, that sounds like it would be a better match for you. There’s no petroleum jelly snd it’s all-natural. 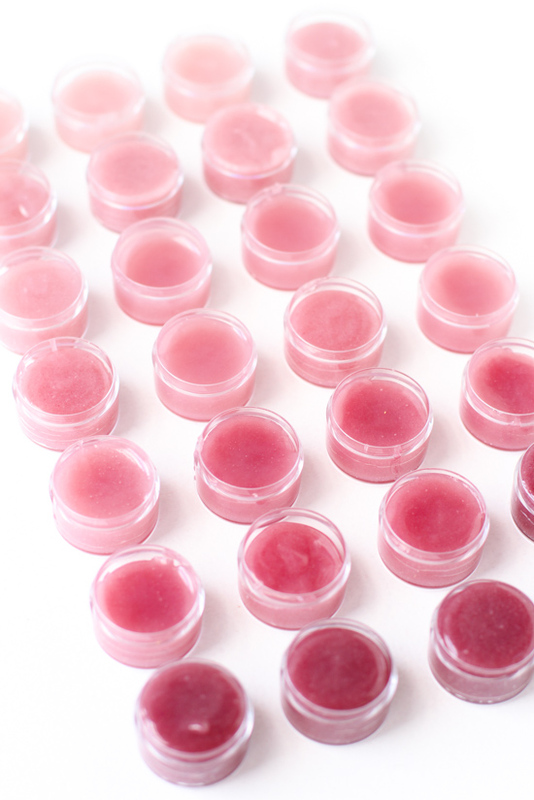 Here’s the link: http://www.papernstitchblog.com/2016/06/20/how-to-make-natural-lip-balm-two-ingredients/ Hope that helps. I made these tonight. Mi couldn’t find kool aide so I used those packets you mix in water bottles. I made pink lemonade. They turned out great. I found little screw containers at Michael”s on sale for just over $5 for 30 containers. I love this! It is a great birthday gift for your friends that love makeup! Also is wonderful for party favors. Am I missing something, I can’t find where it says how much petroleum jelly to add to how much kool-ade. Hi Mary. It depends on how many pots of lip balm you want to make. I made quite a few, so I did 4 heaping spoonfuls of petroleum jelly and then one packet of Kool-Aid. 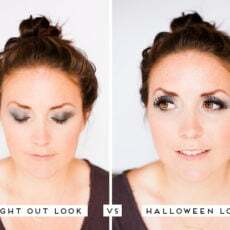 If you’re not getting the desired color with those proportions though, you can always add more petroleum jelly (or less). Hope that helps. What a lovely idea! I’ve been meaning to do this and finally took the plunge. Unfortunately I can only make shades of purple. I’ve tried cherry, black cherry, strawberry, and pink lemonade. The lemonade turned a strange neutral color, and all the rest just turned the melted jelly purple. I used regular (off brand) 100% petroleum jelly and name brand kool aid. Any thoughts? Maybe I should use white jelly? Is it tablespoon or teaspoon? Love the idea. Hi Paige. The instructions call for 2 heaping spoonfuls of petroleum jelly, so tablespoons would be the closest measurement. 🙂 Hope that helps.